Relevant research results for assisted reproduction. “Endometrial Mesenchymal Stromal Cells (endMSCs) are multipotent cells with immunomodulatory and pro-regenerative activity which is mainly mediated by a paracrine effect. 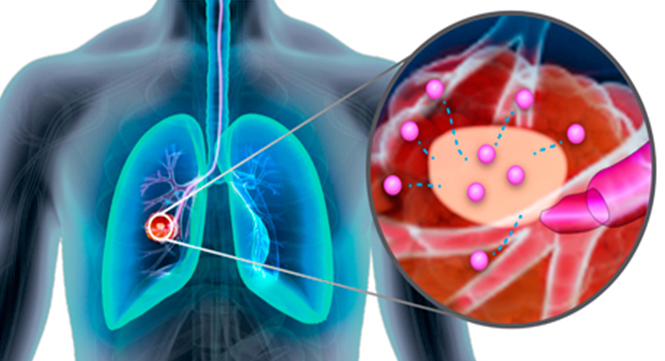 The exosomes released by MSCs have become a promising therapeutic tool for the treatment of immune-mediated diseases. More specifically, extracellular vesicles derived from endMSCs (EV-endMSCs) have demonstrated a cardioprotective effect through the release of anti-apoptotic and pro-angiogenic factors. Here we hypothesize that EV-endMSCs may be used as a co-adjuvant to improve in vitro fertilization outcomes and embryo quality. Firstly, endMSCs and EV-endMSCs were isolated and phenotypically characterized for in vitro assays. Then, in vitro studies were performed on murine embryos co-cultured with EV-endMSCs at different concentrations. Our results firstly demonstrated a significant increase on the total blastomere count of expanded murine blastocysts. Moreover, EV-endMSCs triggered the release of pro-angiogenic molecules from embryos demonstrating an EV-endMSCs concentration-dependent increase of VEGF and PDGF-AA. The release of VEGF and PDGF-AA by the embryos may indicate that the beneficial effect of EV-endMSCs could be mediating not only an increase in the blastocyst’s total cell number, but also may promote endometrial angiogenesis, vascularization, differentiation and tissue remodeling”. Prof Laura M. Lechuga, Scientific Director of NANBIOSIS U4 – Biodeposition and Biodetection Unit – is part of the Organising Committee of the 2018 European Conference on Integrated Optics that will celebrate its 20th anniversary in Valencia from the 30th May to the 1st June 2018. In the 2017 edition, which took place in Eindhoven, the conference featured more than two hundred attendees. The conference focuses on leading edge research on integrated optics, optoelectronics and nano-photonics and gathers experts from academia and industry to show their latest technical results, and showcase their products and services. The application scope is broad and it ranges from tele/datacom communications, optical interconnects, and (bio) optical sensing applications to more disruptive areas as quantum computing and mid-IR photonics. The I3A organizes the VII Conference of Young Researchers to be held on June 2, 2018. As in past editions, the Confernce will be addressed to all those who are doing the doctoral thesis whose director or co-director is a member of I3A. Simulation of cell populations in Organ-On-Chip devices: of the models classics to data driven simulations. Jacobo Ayensa-Jiménez, Marina Pérez Aliacar, Teodora Randelovic, Sara Oliván, Iñaki Ochoa, Mohamed Hamdy Doweidar, Manuel Doblaré. 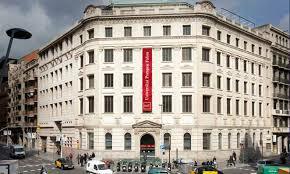 On Saturday, June 2, at 10.30 in the auditorium of the Artium Museum in Vitoria-Gasteiz, a meeting will take place for patients with diabetes, organized by the group of European researchers of the DRIVE project. The objective of the meeting, held for the first time in Spain, is to connect researchers with all those with diabetes and relatives who want to participate. “One of the objectives of this meeting is to better understand the expectations of people with diabetes and their doubts about the treatment of that disease. By giving us their opinion, they will help us to adapt the DRIVE project to their needs“, explained the organization. The event is organized by the NanoBioCel research group of the University of the Basque Country / Euskal Herriko Unibertsitatea, directed by José Luis Pedraz, Scientific Director of NANBIOSIS Unit 10, Drug Formulation, who participates in the DRIVE project through the CIBER BBN and the ICTS Nanbiosis, the only Spanish group in the project . 1- Short interventions of the latest advances and developments in the research lines developed by the groups and NANBIOSIS Units and description of the needs and demands of the industry in that area. 2- Bilateral meetings of about 15 minute company-group / NANBIOSIS Unit to identify possible collaborations. Registration is free and will be by order of registration until the capacity is exhausted. Prof. Antoni Villaverde, Strategy Director of NANBIOSIS U1. 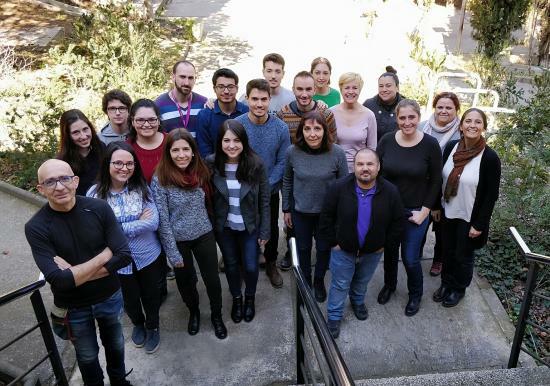 Protein Production Platform (PPP), in an interview for the CIBER-BBN Bulletin, speaks about his research group, coordinanting NANBIOSIS u1 and the benefits of belonging to a research structure like CIBER. “The PPP – explains Prof. Villaverde – was generated within the group, but is currently a platform that has been gaining its own entity and structure, and has received the ISO certification granted by AENOR. Neus Ferrer-Miralles is the Scientific Director and Paolo Saccardo the technical coordinator. The objective of the activity developed by the PPP is based on supporting CIBER groups in the production and purification of recombinant proteins within the field of nanomedicine. The fact that this service has emerged within a powerful research group allows the accumulated knowledge and experience to directly revert to the needs in this field within the area of ​​nanomedicine in our country. Therefore, with the aim of reaching society, in addition to the CIBER, we also provide service to public and private entities dedicated to research and pharmaceutical companies”. 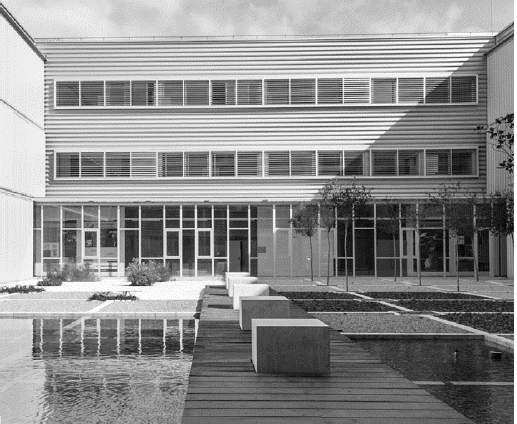 According to Toni Villaverde “The incorporation of the group to the CIBER-BBN has represented a clear and deap positive impact on our activities, at a collaborative level, which has greatly enriched our scientific and methodological capabilities and which has allowed a multidisciplinary scientific activity, which otherwise It would not have been possible. Since the beginning of the CIBER, we have carried out punctual collaboration activities with various groups of CIBER, and we have generated more stable collaborative structures that allow scientific developments in the medium-long term. Among the latter, it is necessary to highlight the collaboration with the group of Dr. Mangues and Dras. Isolda Casanova and Virtudes Céspedes,- coordinating NANBIOSIS U18.Nanotoxicology Unit, Profs. Veciana y Ventosa, coordinatinatin NANBIOSIS U6. Biomaterial Processing and Nanostructuring Unit, as well as of the group coordinated by Prof. Schwartz and Dr. Abasolo” –NANBIOSIS U20. In Vivo Experimental Platform-. In this interview, Dr. Villaverde reviews the main research lines and projects that the research group at the Institute of Biotechnology and Biomedicine of the Autonomous University of Barcelona, coordinator of the NANBIOSIS U1.PPP, is currently developing (nanostructured protein materials as therapeutic anti-inflammatory agents, nano and protein microstructures for drug delivery in targeted therapies and new drugs for rare diseases, nanoconjugates based on self-assembling proteins for targeted cancer therapy, self-assembling and nanostructured protein drugs, produced in recombinant form and based on very potent toxins, for targeted molecular therapy of cancer… and much more…) . José Mijares Gordún, and Francisco M. Sánchez Margallo, Scientific Director and Scientific Coordinator of NANBIOSIS U23. Asisted Reproduction, are co-authors of de article “Oocyte holding in the Iberian red deer (Cervus elaphus hispanicus): Effect of initial oocyte quality and epidermal growth factor addition on in vitro maturation“, published by Reproduction in Domestic Animals. The scientists have demonstrated that oocyte holding can be used in Iberian red deer oocytes. Interestingly, EGF addition increases the oocytes’ meiotic competence in immediately matured oocytes but not after oocyte holding depending upon initial oocyte quality. The investigation has been continued in the assisted reproduction laboratory of unit 23 of NANBIOSIS, equipped with two intracitoplasmatic micromanipulation equipment of the latest generation with IMSI, Laser and Oosight system, embryo biopsy systems, vision systems of the mitotic spindle, with flow cabinets with stereo-microscopes and heated plates, incubators with different gasses systems, equipment and cryopreservation freeze gamete and embryo, among others. Marta Mas-Torrent, Jaume Veciana, and Nuria Crivillers, scientists of the research group NANOMOL, coordinating NANBIOSIS U6. Biomaterial Processing and Nanostructuring Unit, are co-authors of the article “Carbon-gold bonds for robusts molecule-electrode junctions” by Journal of the American Chemical Society -JACS-. 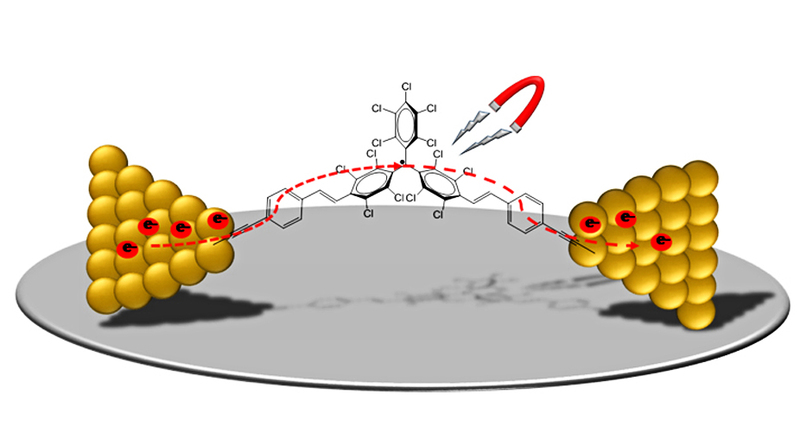 The researchers have studied the behaviour of an organic radical as a molecular wire formed by a covalent carbon-gold bond between the molecule and two electrodes. The molecule-metal junction is more stable and gemotrically better defined than its predecessors, in which other functional groups were used. This improvement opens up new horizons in the fabrication of novel electronic devices with applications in the Molecular Electronics field. Javier García Casado, Scientific Director of NANBIOSIS U14, Cell Therapy Unit, and Francisco Miguel Sánchez Margallo, Scientific Director of CCMIJU, are co-author of the publication “Fibrin glue mesh fixation combined with mesenchymal stem cells or exosomes modulates the inflammatory reaction in a murine model of incisional hernia” by Acta Biomaterialia. In vitro experiments were performed by the ICTS Nanbiosis (Unit 14. Cell therapy at CCMIJU). Exosomes characterization was performed by the ICTS Nanbiosis (Unit 6: Biomaterial processing and Nanostructuring Unit). In vivo experiments were performed by the ICTS Nanbiosis (Unit 22. Animal housing at CCMIJU). The implantation of surgical meshes is the standard procedure to reinforce tissue defects such as hernias. However, an exacerbated and persistent inflammatory response secondary to this implantation is frequently observed, leading to a strong discomfort and chronic pain in the patients. In many cases, an additional surgical intervention is needed to remove the mesh. For further information: DOI: https://doi.org/10.1016/j.actbio.2018.02.014.